Rabies, strawberries, penicillin, cranberries, Trump, and Florida meth addict cuts off junk, feeds it to alligator. 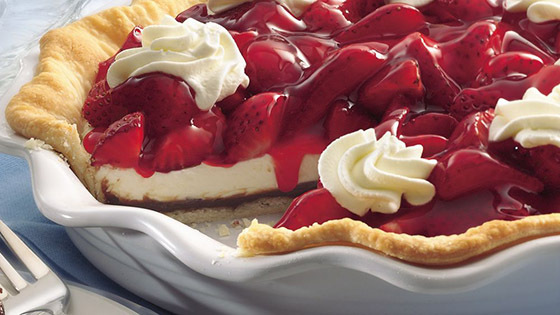 Among other things, today is World Rabies Day and National Strawberry Cream Pie Day.. Thought you'd prefer the pie photo to the rabies one. Some people born on September 28 who said some interesting things: Philip Greenspun, Christopher Buckley, Brigitte Bardot, Seymour Cray, Harold Taylor, Ellis Peters, Al Capp, William S. Paley, Georges Clemenceau, Frances Willard. Florida man high on meth cut off his junk and fed it to an alligator. "That's funny..." On this date in 1928, Sir Alexander Fleming returned from vacation to his cluttered laboratory, when he noticed one of his samples was contaminated by a fungus that had killed the nearby staphylococci bacteria. He was able to produce pure cultures of what he originally called "mould juice" and later named penicillin, the first effective antibiotic. But less than 90 years since their discovery, the World Health Organization is warning the drugs are losing their effectiveness throughout the world as bacteria develop resistance and, possibly, ushering in a "post-antibiotic era." No new classes of antibiotics have been developed in over 25 years, and few pharmaceutical companies are performing antibiotic reason. Why? Money, of course. It's the 200th anniversary of the first commercial cultivation of cranberries. And the industry is not doing well.. He lied about his company's bankruptcies. He lied about "stop and frisk." He lied about Hillary Clinton's tax plan. He lied about Mexico having the world's largest factories. He lied about the United States's nuclear arsenal. He lied about NATO's budget. He lied about NATO's terrorism policy. He lied about calling pregnancy an "inconvenience" for employers. He lied about calling women "pigs." He lied about calling women "dogs." He lied about calling women "slobs." Here's the original story, which contains links documenting each lie. When Trump said that not paying taxes 'makes me smart,' undecided voters in North Carolina gasped. Trump's refusal to release his federal income tax returns appears to be an effective way to to rattle him. His "smart" comment followed Clinton's suggestion that "Maybe he's not as rich as he says he is. Maybe he's not as charitable as he claims to be." CNN noted that Trump has handed over tax returns in the midst of audits before- to state gambling officials in Pennsylvania and New Jersey, as part of the process of seeking casino licenses in those states. The returns haven't been publicly accessible, but they were used by the state investigators who reviewed those applications. Whatever. In post-debate interviews, Trump said he has paid federal taxes, but offered no specifics. "Donald Trump complained about his microphone. Apparently everyone could hear him perfectly." "Before the debate, Politico analyzed a week's worth of Trump speeches and found that Trump averaged about one falsehood every three minutes and 15 seconds, which is damning. Though, on the plus side, you can use Trump's lies to tell if your microwave popcorn is done." "I am voting for the conservative party, and if this jackass just happens to be leading this mule train, so be it." "One day, Donald Trump is going to look a news reporter straignt in the eyes on national TV and say 'I never ran for President.'" It's all fun and games until someone gets access to the nuclear codes. The only way Trump's plans sound sane is if you add to the end of the sentence the words "Mr. Bond." "I will build a huge wall, and Mexico will pay for it, Mr.Bond."